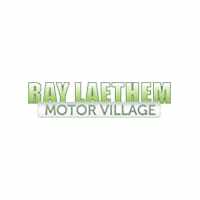 Used Cars under $10,000 near Detroit | Ray Laethem CDJ " "
We will deliver, at no cost to you, your new or pre-owned vehicle anywhere in MI, OH, IN, or IL. Call or email for details. *** WE SPECIALIZE IN CREDIT ISSUES *** Recent Arrival! **HAVE QUESTIONS? TEXT US ANY TIME AT (313)327-3563**, black Cloth. LX Interested? Call/Text 313-327-3563. Credit Specialist On Hand. Our 2013 Chrysler 200 LX Sedan is shown in beautiful Black Clear Coat and can be a true contender for your lifestyle. KEY FEATURES: • Powered by an amazing 2.4 Liter 4 Cylinder that produces 173hp while matched to a 4 Speed Automatic transmission for easy passing • Front Wheel Drive • Steel Wheels with Full Covers • Remote Keyless Entry Technology: • Uconnect Audio system with Touchscreen • Delay-off Headlights • Steering Wheel Mounted Audio Controls • Electronic Stability Control Interior/Exterior: • Premium Cloth Bucket Seats • Split Folding Rear Seat • Full Power Accessories • CD Player • Telescoping Steering Wheel Safety: • Anti-whiplash Front Head Restraints • 4-Wheel Disc Brakes with ABS • Dual Front and Side Airbags • Four Wheel Independent Suspension • Low Tire Pressure Warning Print This Page or Call/Text Us Now 313-327-3563. Located in Detroit and easy to get to from anywhere in Wayne, Macomb and Oakland Counties. Close to I-94 and We Know You Will Enjoy Your Test Drive Towards Ownership! Outstanding in White, our top-of-the-line Clean Carfax One Owner 2017 Dodge Journey GT AWD is a practically perfect blend of versatility, amenities, and style. Sporty yet sensible, take a look at our Clean Carfax 2009 Chevrolet Cobalt LS Coupe in Rally Yellow! We will deliver, at no cost to you, your new or pre-owned vehicle anywhere in MI, OH, IN, or IL. Call or email for details. *** WE SPECIALIZE IN CREDIT ISSUES *** Recent Arrival! **HAVE QUESTIONS? TEXT US ANY TIME AT (313)327-3563**. Luxury Interested? Call/Text 313-327-3563. Credit Specialist On Hand. Our 2010 Cadillac SRX Luxury SUV in Crystal Red Tint stands out as a crossover that's loaded up with luxury, comfort, and convenience features that the whole family will love! Key Features: • Powered by a 3.0 Liter V6 that offers 265hp while coupled with a 6 Speed Automatic transmission for natural passing authority • Front Wheel Drive • UltraView Double-Sized Sunroof • Keyless Access • Memory Package Technology: • Bose Premium Audio System • Available Satellite Radio • Bluetooth • Remote Start and Keyless Entry • Power Liftgate Interior/Exterior: • Heated Leather Front Seats with Driver Memory • Front Dual Zone A/C • Alloy Wheels • Adjustable Pedals with Memory • Split Folding Rear Seat Safety: • Traction Control • Front & Rear Parking Assist • 4-Wheel Disc Brakes with ABS • Brake Assist • Universal Home Remote Print This Page or Call/Text Us Now 313-327-3563. Located in Detroit and easy to get to from anywhere in Wayne, Macomb and Oakland Counties. Close to I-94 and We Know You Will Enjoy Your Test Drive Towards Ownership!